These next few episodes are going to make him realize that being a photographer… is not enough for him, so he’s going to go on a pretty exciting career trajectory that we’re really pumped by. James is going to decide that he can no longer sit back and be a sidekick, so he’s going to decide to become a vigilante and he’s going to become Guardian — complete with the shield — which is going to cause a massive problem in his relationship with Kara [Melissa Benoist], because he has decided not to tell her. In the comics, Guardian is a shield-toting hero with exceptional combat abilities—someone many were expecting Arrow’s Diggle to become after he got upgraded to a fully-fledged member of Team Arrow. The first person to use the moniker was Jim Harper, a Metropolis police officer who turned to vigilantism to tackle his city’s rampant crime. He was later retconned to be affiliated with Project Cadmus, with a clone of Harper taking on the Guardian mantle. The next Guardian was Mal Duncan, who used a strength-enhancing exoskeleton to recreate the abilities of the original Guardian. 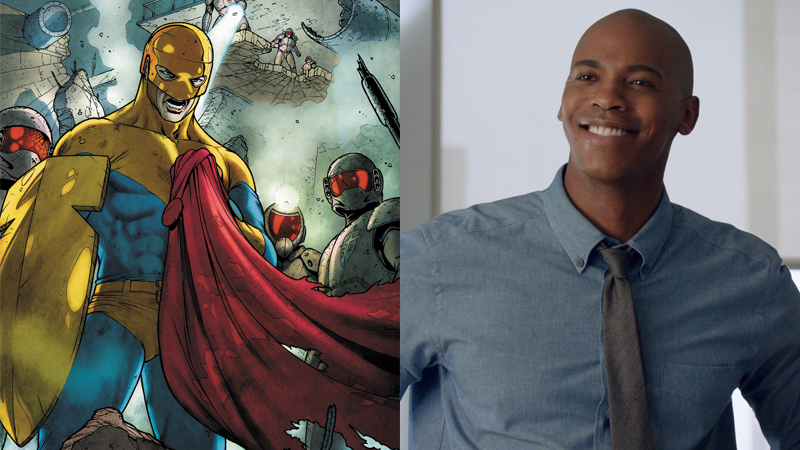 Harper has actually already appeared on Supergirl, but not as the Guardian—played by Eddie McClintock, he was a US Army Colonel investigating the Martian Manhunter for Project Cadmus in the show’s 17th episode, “Manhunter.” So there’s a lot of room for Supergirl to play with the Guardian character and his origin. However he begins his career, he’ll have help in keeping his heroics a secret from Kara—Winn will become James’ “man in a van,” offering intel and support for National City’s new hero.